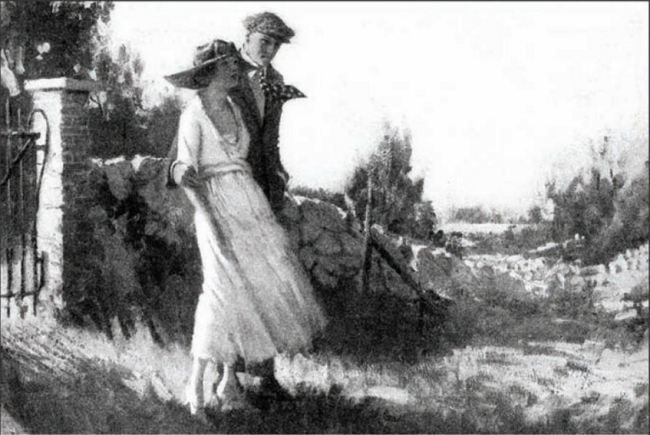 Illustration by James H. Crank for “The Ice Palace” in the May 22, 1920, issue of The Saturday Evening Post. Image from Google Books. I’ve spent today in the grave-yard. . . . Why should graves make people feel in vain? I’ve heard that so much, and [Thomas Gray, author of Elegy Written in a Country Churchyard] is so convincing, but somehow I can’t find anything hopeless in having lived – All the broken columnes [sic] and clasped hands and doves and angels mean romances – and in a hundred years I think I shall like having young people speculate on whether my eyes were brown or blue – of course, they are neither – I hope my grave has an air of many, many years ago about it – Isn’t it funny how, out of a row of Confederate soldiers, two or three will make you think of dead lovers and dead loves – when they’re exactly like the others, even to the yellowish moss? Old death is so beautiful – so very beautiful – We will die together – I know . . . 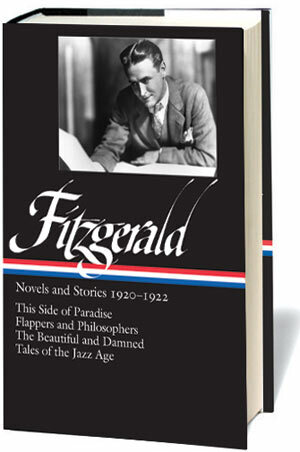 Soon after “The Ice Palace” appeared, Fitzgerald explained in a brief essay how he came to write the story. The idea “grew out of a conversation with a girl out in St. Paul.” The two talked about winters in Minnesota (“their bleakness and dreariness and seemingly infinite length”) and about life in Sweden. “I wonder,” I said casually, “if the Swedes aren’t melancholy on account of the cold—if this climate doesn’t make people rather hard and chill—” and then I stopped, for I had scented a story. . . .
. . . I was in Montgomery, Alabama, and while out walking with a girl I wandered into a graveyard. She told me I could never understand how she felt about the Confederate graves, and I told her I understood so well that I could put it on paper. Next day on my way back to St. Paul it came to me that it was all one story—the contrast between Alabama and Minnesota. In 1919 Fitzgerald earned a total of $879 from his writing; the following year his income skyrocketed to $17,055—the equivalent of half a million dollars today—including at least $400 for “The Ice Palace” alone. His sudden wealth and fame convinced Zelda Sayre that they could live off a writer’s salary after all, and they were married at St. Patrick’s Cathedral in New York on April 3, 1920. Notes: The lyrics on page 292 are from a nineteenth-century sailing song known by several titles, including “Ten Thousand Miles Away” and “Blow the Winds Heigh-Ho,” and often included as the chorus for an adaptation of “The Walloping Window-Blind,” a nonsense poem by Charles E. Carryl. Dangerous Dan McGrew (page 296) is a character in the narrative poem “The Shooting of Dan McGrew” (1907) by Robert W. Service, which was set in a Canadian saloon during the Yukon Gold Rush. The sunlight dripped over the house like golden paint over an art jar, and the freckling shadows here and there only intensified the rigor of the bath of light. . . . If you don't see the full selection below, click here (PDF) or click here (Google Docs) to read it—free!